Mulder’s Moving & Storage began back in 1948 with Don Mulder at the helm and Robert Benthin as his second in command. Bob and Esther Benthin purchased the company from Mulder in 1976 and soon had their three sons involved in the business with them. Now, 70 years later, the Benthin family still owns and manages the company with one of their sons serving as president. Two of Bob’s and Esther’s grandchildren are also involved in the company. Mulder’s Moving and the Benthin family have built up an excellent reputation in the West Michigan area for having the best moving crew, the best customer service and a long-term commitment to leaving all of its customers smiling and thrilled with the work done for them. We are located in Kalamazoo, Michigan just south of the US-131 Business Loop. With a fleet of trucks and vehicles, trained and uniformed crew members and a complete office staff Mulder’s is ready to handle your move no matter how large or small. We offer full-service storage facilities totaling over 30,000 square feet and conveniently located in Kalamazoo, MI. Our facilities are climate-controlled and have 24-hour security. They are available on a short- or long-term basis with monthly rates depending on your needs. 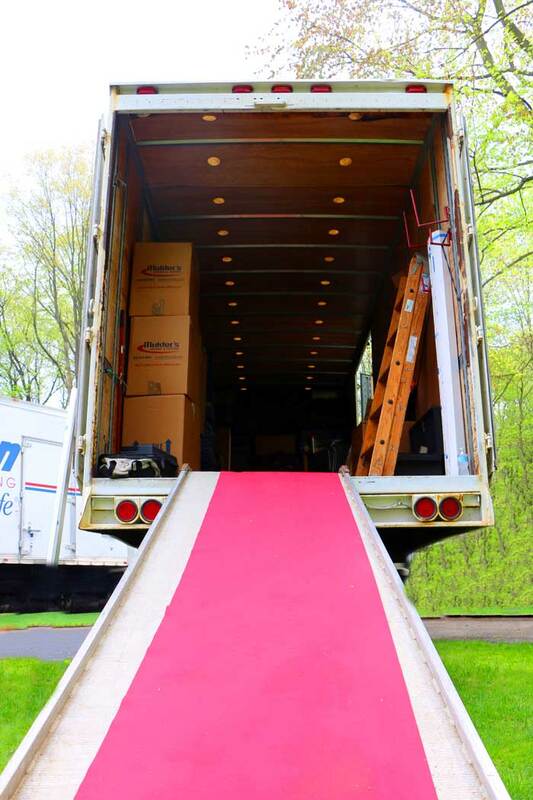 Contact Mulder’s Moving today and experience for yourself the outstanding customer service and the “Red Carpet Service” which is the standard here at Mulder’s — for every customer. Call us at 800-262-0550 or use our Online Estimate tool. We look forward to working with you in the near future. We’re experts in our field and we specialize in residential moving. We have the tools and resources to make your residential move a pleasant and affordable experience. At Mulder’s Moving, we can do everything so you don’t have to lift a finger or, we can just get the heavy stuff to save your wallet and your back! Visit our Residential Moving page to learn more! Mulder’s Moving handles commercial moves regularly for business customers and schools. We are able to tear down cubicles and computer workstations, transport them safely and securely and then rebuild them again to your specifications. Check out our Commercial Moving page to learn more. At Mulder’s Moving, even if you are not using our moving services, we’re here to help. We stock a broad range of affordable packing supplies including boxes, shrink and bubble wraps, and more that is available to you to use for your move. Visit our Packing Services and Moving page to learn more. For your convenience, Mulder’s Moving offers full and partial packing services either prior to or on the day of your move. To learn more, visit our Packing Services and Materials page! With more than 15 years of experience and over 30 millions volumes moved successfully, let Mulder’s Moving Library Relocations team show you how we can help with your library move. New house not ready? Maybe you just have too much furniture. Mulder’s Moving offers climate-controlled storage for your treasured possessions. Visit our Short-term Storage page to learn more! Those looking for long-term storage options will appreciate Mulder’s safe, secure, and climate controlled warehouse. For more details, visit our Long-term Storage information page. From new floor plans to new work surfaces, Mulder’s Moving has the experience and the ability to make sure your office environment is assembled to perfection. Learn more here.